Saturday, December 03, 2016 by: Isabelle Z. 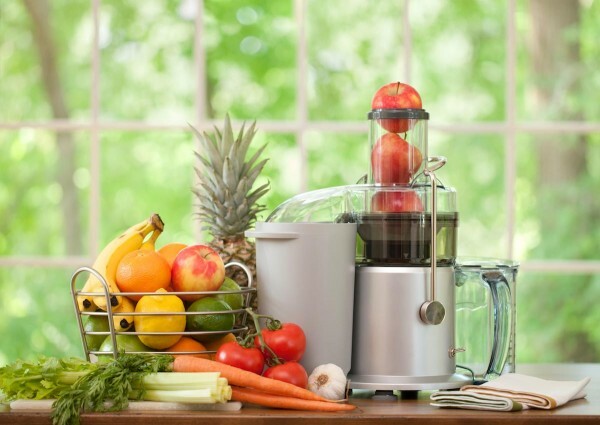 (Natural News) Many people like to start their day off with a smoothie. After all, breakfast is the most important meal of the day, so what better time is there to reward your body with the nutrients it needs to get you through the day? A smoothie can be a great way to deliver a lot of nutrition to your body at once, and depending on what you put inside of it, it can also be extremely filling and serve as a substitute for breakfast. In fact, it’s a far better choice than meal replacement drinks like Soylent, which contains GMOs and soy. However, it is important to keep in mind that in addition to loads of nutrition, some smoothies can also pack in excessive amounts of sugar. Your best bet is to make them yourself at home so you can control the ingredients. You can buy the organic fruits and vegetables that go into it – or better yet, grow them yourself – and get the other ingredients from trusted sources that do not use GMOs or toxic preservatives. It’s the only way you can be sure that your smoothie is completely natural. While part of the fun of making smoothies is experimenting, sometimes you just need to have your breakfast quickly and get out the door on time. Her are some meal-worthy smoothies that were inspired by recipes recently shared on MindBodyGreen. Just toss all the ingredients in a blender and you’ll be on your way to a filling and nutrient-packed breakfast! This smoothie starts out with vanilla protein powder. Vegetarians should look for the plant-based varieties. You can adjust the ratio of fruits and vegetables to your taste – a stalk of celery is a particularly good addition – but don’t leave out the iron-rich spirulina! If you’re looking for something that is a little more dessert-like, this one hits all the right notes without any of the guilt. Be sure that your nut butter is completely natural. Almond butter lends the best flavor to this one, but cashew butter or peanut butter will also work. Fiber-rich oats enable this smoothie to keep you feeling full until lunch. If you decide to omit the yogurt, you might want to add some extra water in its place in order to achieve the right consistency. It’s hard to go wrong when you start your day out with superfoods like berries, avocado, and swiss chard, while tryptophan-rich cashews can even help alleviate depression and anxiety. If you have time, soak the nuts overnight to get the right consistency. You can also adjust the berry ratio to your liking, or even throw in some raspberries if you have them. These recipes are just starting points that will hopefully inspire you to come up with your own healthy creations. Once you try them, you’ll almost certainly have your own ideas for how they could be improved to suit your personal tastes. Just be sure that any additions you make are organic, natural and healthy!